In the south of the globe is located almost unexplored giant continent – Antarctica. Under the seemingly impenetrable multi-kilometer thickness of ice, there are endless secrets, stirring the minds of scientists. 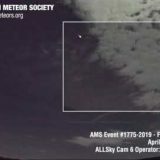 So, and today no one can explain the anomaly of Wilkes Land – the impact crater, which is visible even from outer space. And of course, the secrets of Antarctica are attracted by numerous expeditions. 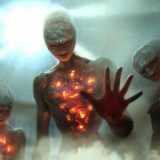 The ten most loud and mysterious – in this review. Expansion of Antarctica: operation “New Swabia”. In 1939, the Third Reich sent an expedition to Antarctica. Yes, it’s true: the Nazis really tried to create a base on a frozen continent. 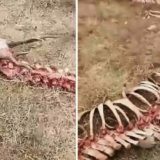 But why this is so – no one knows for sure. 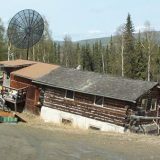 It is unclear how Hitler was going to get a scientific or economic benefit at the base of the base in such a cold, life-deprived and hard-to-reach place. However, the lack of evidence did not stop the world from speculating further on this story. 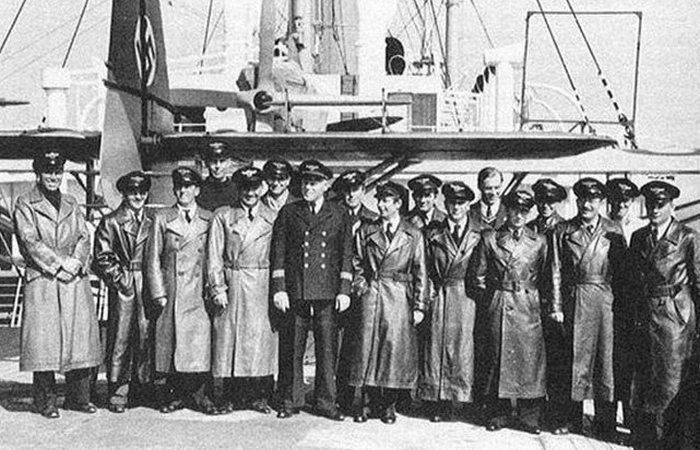 After the surrender of the Nazis in 1945, two German submarines with full crews arrived in Argentina. 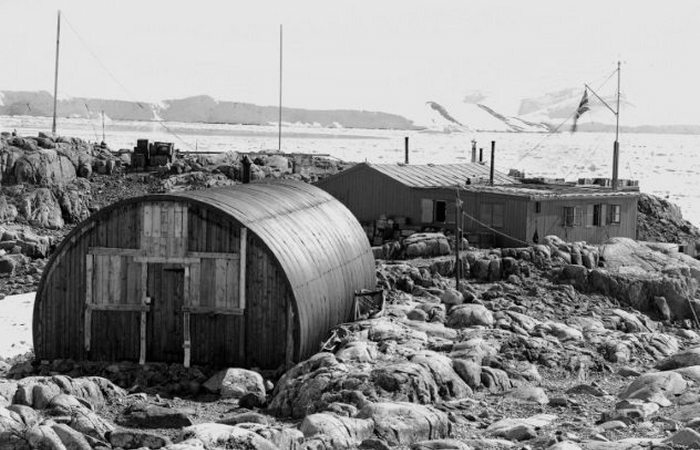 Although people may never know what their mission was before the collapse of Hitler, many wondered what the goals could have been for the German submarines in this part of the Southern Hemisphere, except for visiting Antarctica. Expansion of Antarctica: Operation Tabarin. The Germans were not the only nation that became interested in the ice continent during the Second World War. In 1943, at the height of the war, the British government sent an expedition to Antarctica called Operation Tabarin. Why the monitoring of whaling fleets in this region was considered so important to justify sending a modern military ship with a full set of sailors to a region that was as far removed from the zones of hostilities remains a mystery. One can only assume that the importance of a reinforced British presence in Antarctica may have been justified by rumors of a Nazi base on a frozen continent. All that scientists know for sure today is that the expedition survived two winters and was considered incredibly successful. 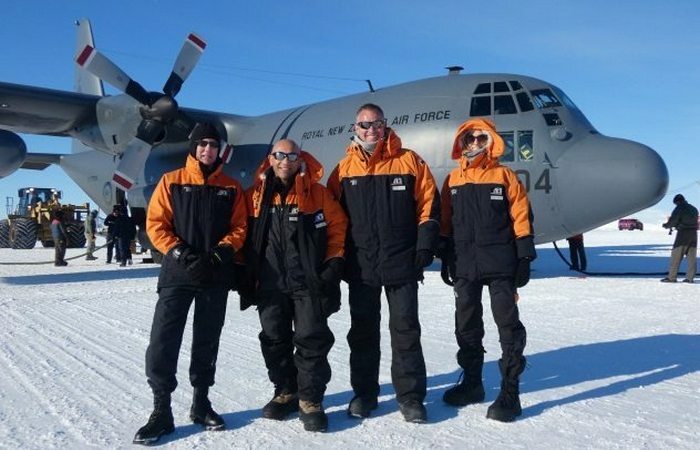 Unusual expedition to Antarctica: operation “Highjump”. In 1946, when the psychological horrors of the Second World War were still fresh in the minds of the American people, an expedition of the US Navy from 13 battleships and 33 aircraft was sent to the Antarctic. The operation of Highjump was led by Admiral Richard Byrd, already known for his solo missions over the icy continent. 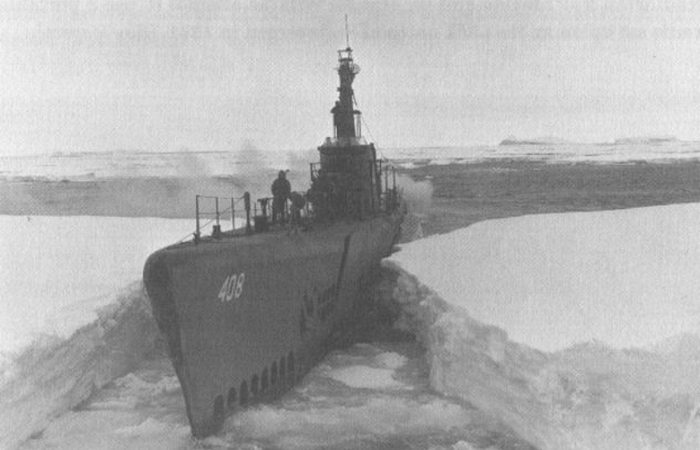 The official goal of the mission was to train in the conditions of eternal ice and to establish a more stable American presence in Antarctica. This is not hard to believe, given the hypothetical forthcoming conflict with the Soviet Union, which, as expected, was supposed to include a land battle in the conditions of Siberia. 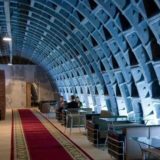 Nevertheless, in subsequent years there was no end to the speculation that the real purpose of Operation Highjump was the eradication of the legendary Antarctic Nazi base. Also very controversial is the fact why the Americans returned home with so much loss. An unusual trip to Antarctica by Prince Harry. 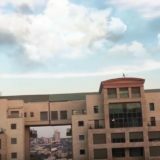 Now let’s move on to the present. 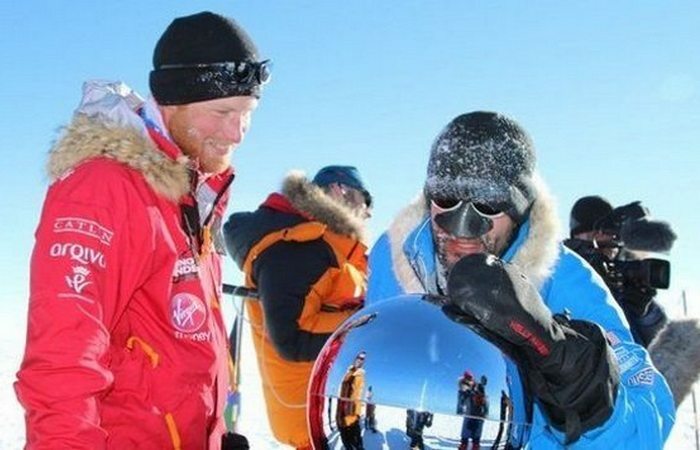 In 2013, Prince Harry, fifth in succession to the British throne, led the expedition to the South Pole. The goal of this adventure in the eternal ice in fact ended in 12 wounded soldiers and women accompanying Harry in the event, which was originally planned as an “entertaining and competitive” hike on one of the continent’s sections. But on arrival the team decided that the relief along the 320-kilometer path to the center of Antarctica was too complicated for the competition, and you just need to try to reach the pole “in high spirits.” In addition to abandoning the competitive aspect, there is nothing strange in this expedition. Nevertheless, it creates a precedent for the permanent presence of high-ranking dignitaries in Antarctica. 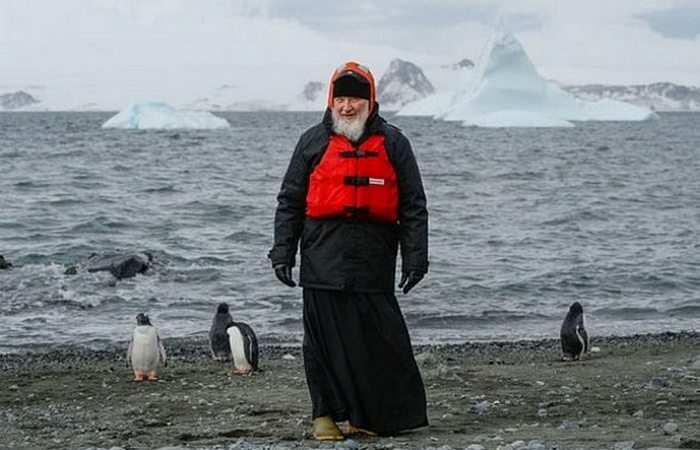 An unusual trip to Antarctica by Patriarch Kirill. In February 2016, the heads of the Eastern Orthodox and Roman Catholic churches first met since the Great Split, an event that split the church east and west almost 1,000 years ago. The historic meeting in Cuba between Patriarch Kirill and Pope Francis was seen by many as the beginning of a new era for Christianity, although no one could say why in the last 1000 years the two most influential people in the Christian world decided to meet just then. Naturally, a lot of assumptions arose, especially when a few days after this historic meeting it was announced that Patriarch Kirill would join the crew of the Russian naval vessel Admiral Vladimirsky for a campaign to the South Pole. This announcement became especially intriguing when it became known that “Admiral Vladimirsky” made an unprecedented stop in the Saudi port of Jeddah on the way to Antarctica. At that time, Russia and Saudi Arabia were irreconcilable economic rivals in the oil market, so it was difficult to understand what the Russian ship might need at the port closest to Mecca. The only sounded reason for Patriarch Cyril in Antarctica is that he wanted to pray in a tiny Orthodox church that was erected on the ice continent several decades ago. An unusual trip to Antarctica by Tom Hanks. The religious leader of Russia is not the only famous person who has shown interest in the remote Trinity Orthodox church in recent years. 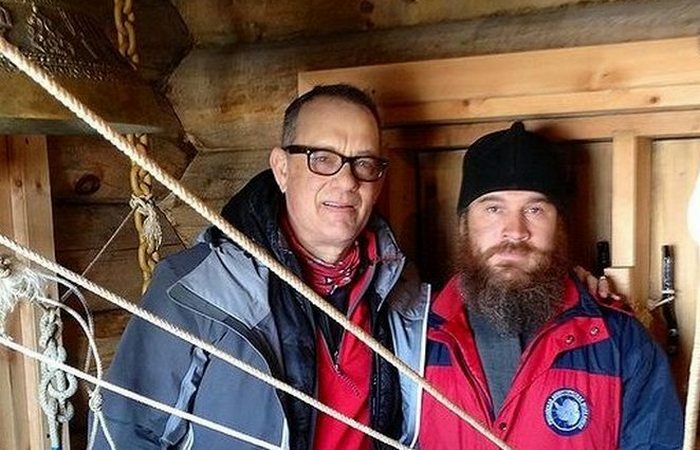 During his brief visit to the Antarctic in February 2016, American actor Tom Hanks, who converted to Orthodoxy, specially visited a tiny temple built of wood before he married Rita Wilson. An unusual expedition to Antarctica by the Minister of Defense of New Zealand. Although New Zealand is not the closest country to Antarctica (in this respect, Chile and Argentina can argue with it), its government plays an important role in the events on the ground of ice and snow events. In fact, the New Zealand Defense Force is constantly present in Antarctica, where they defend personnel based on Scott and McMurdo station (from whom, except for penguins, it is unclear). 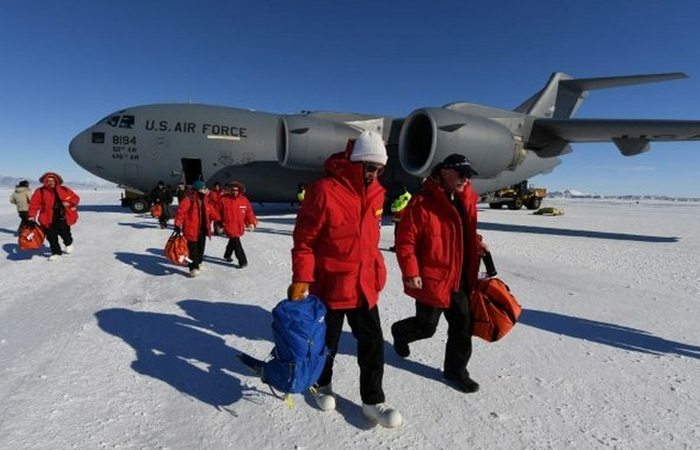 An unusual trip to Antarctica by John Kerry. November 8, 2016 in the United States elections were held, according to which the president was Donald Trump. But there is one US citizen who believed that in the world that day there was something much more interesting than the greatest embarrassment of the electorate in US history. At that time he was the highest-ranking diplomat of America and became a high-ranking US official who had ever visited Antarctica. It’s about former Secretary of State John Kerry. Instead of cheering on his favorite candidate, John Kerry spent the day of the elections in Antarctica. But why Kerry simply went to an extremely expensive taxpayer-financed trip, instead of being in the White House. Nobody knows this. Michael Rubin of the Conservative Analytical Center of AEI notes that, in addition to being extravagant, Kerry’s trip to the South Pole also seems pointless, since there are no other diplomats in Antarctica for negotiations. An unusual trip to Antarctica Buzz Aldrin. One of the first people who set foot on the Moon decided to visit the most desolate place on Earth. Buzz Aldrin left at the end of November 2016 for the South Pole. 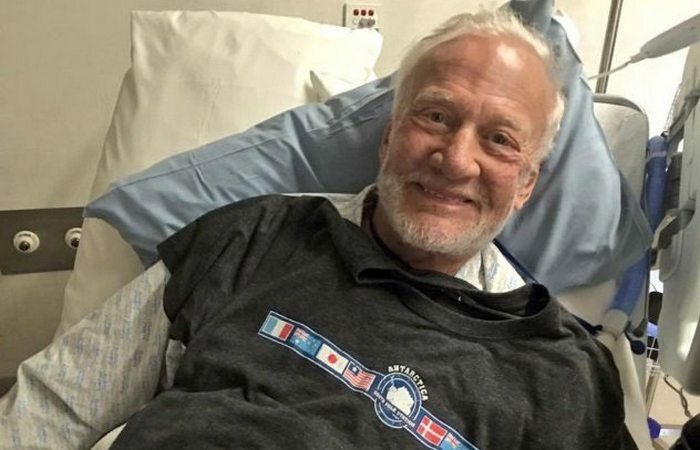 Although the 86-year-old Aldrin received special training and medical advice before the expedition, as a result he got sick badly (altitude sickness), and Aldrin had to be urgently evacuated to Christchurch, New Zealand. But the whole story is riddled with questions from beginning to end: if the elderly Aldrin was inclined to altitude sickness, why did doctors generally allow him to the Antarctic plateau, which is at an altitude of 3000 meters above sea level. Why did the second deputy director of NASA visit the South Pole one day before Aldrin and just a few weeks after John Kerry. There are many questions. An unusual trip to Antarctica Piri Reis. Perhaps the reason for all these strange high-profile visits to Antarctica is hidden in the past. 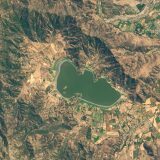 Thanks to the use of satellite imagery, the art of cartography has become almost unmistakable. But right up until the early 1900’s, inaccuracies in cartography were commonplace. 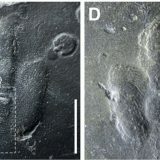 Nevertheless, there is one map more than 500 years old, which, it seems, shows in great detail a part of the Antarctic coastline. 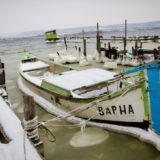 There is only one “but”: there is no ice on it. 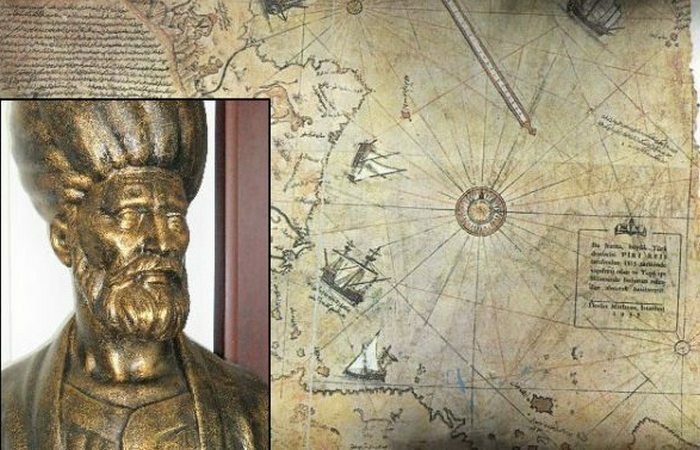 Painted in 1513 by Turkish admiral Piri Reis, this unique map was discovered in 1929 before modern cartographic sketches of Antarctica were made. Although Admiral Reis was certainly a great researcher, he admitted that he based his maps on older sources. In any case, only recently, thanks to the appearance of seismic instruments and satellites, the data on the complete coincidence of the map and the coastline of Antarctica, hidden under kilometers of ice, have been confirmed.